Negligence on the part of medical professionals that leads to birth injuries has life-changing consequences for infants as well as their families. 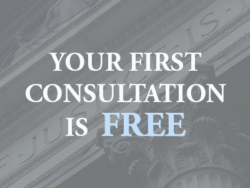 At Strype Injury Law, we understand the stress, fear, anger and other emotions you may be going through and look forward to helping you achieve the best possible outcome as you explore your treatment and legal options. Our lawyers have extensive personal injury and wrongful death trial experience, having represented clients in more than 250 trials. We will work closely with you as your case progresses, using our expertise and access to medical professionals in an effort to help you hold negligent parties accountable for the damage they have caused. Not as commonly known as cerebral palsy and other birth injuries, this injury can have devastating effects. HIE is defined as brain damage caused by a shortage of oxygen or blood flow to the brain. Reduced blood flow — even for as little as five minutes — can result in irreparable harm such as developmental delays, mental retardation, cerebral palsy and seizures. In some cases, HIE is caused by medical malpractice during a difficult labour or delivery process. If you have gone through a difficult childbirth experience and your child has suffered injuries that commonly stem from a lack of blood or oxygen flow, you may have grounds for a medical malpractice claim. Timing Is Important.